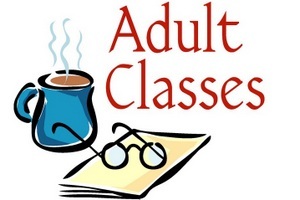 St. Paul’s offers a wide range of adult formation (adult education and spiritual growth) opportunities for adults. The Adult Formation Committee offers the following events. Join us for interesting discussions and fellowship. Sunday Morning: Join us at 10:15 a.m. in the chapel on April 28, 2019 as Fr. George Adamik discusses his upcoming sabbatical. Wednesday Evenings: The spring Wednesday evening series is Finding God with Emily Dickinson. Join us as George Van Arnam, a retired pastoral counselor, leads four sessions on May 1, 8, 15, and 22 at 7:00 p.m. in the youth wing. Materials will be provided. Dickinson’s poems tell of coming near to God, and of doubt and loss. In the honesty and vivid imagery of her poems, many have found words that describe their own faith journeys. For more information, please see the Adult Formation section of the St. Paul’s website.